Piano tuition forms part of our music programme in Mary Queen of Peace PS, along with singing and violin classes. 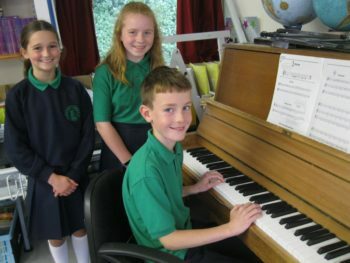 The three pupils photographed, have all obtained their Piano Grade 1 certificates. We done and congratulations!